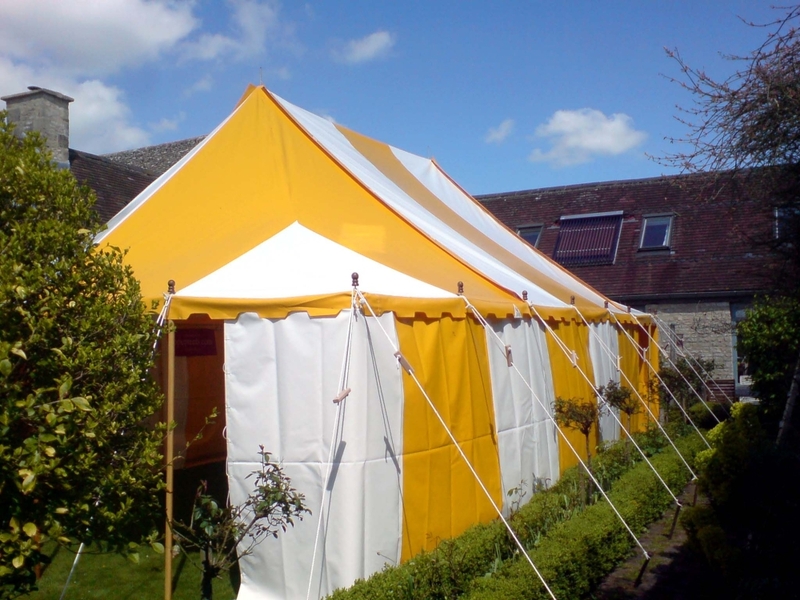 The 20 x 35/50ft Yellow & White marquee is a brand new, updated version of our most popular marquee – the slightly smaller 20 x 30ft Yellow & White. 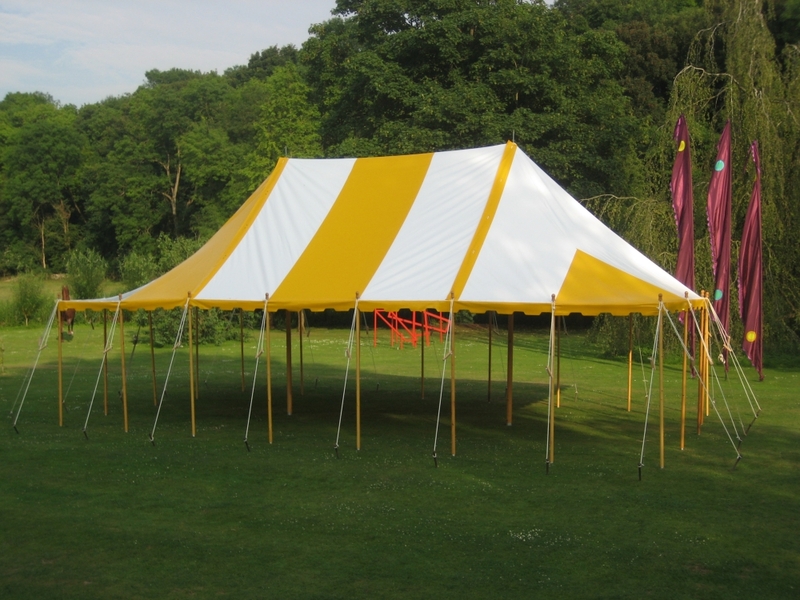 This version features an additional 5ft in length and 2ft in height, allowing greater capacity for use in an even wider array of functions and with the optional middle section can be up to 50ft in length. 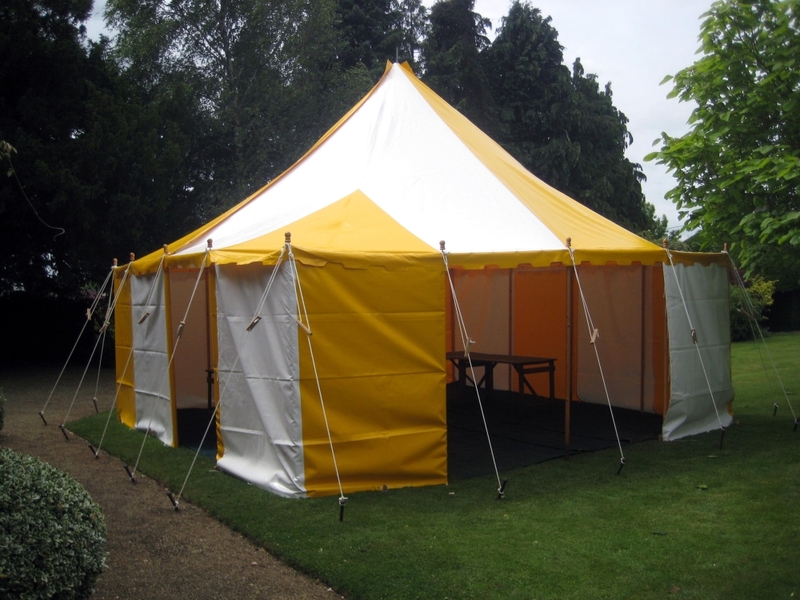 The yellow and white coated canvas brightens up the interior on the darkest of British summer days and adds a jovial touch to any event! The shade of yellow and structural design neatly complements our Red & Yellow 20 x 30ft marquee, should additional capacity be required, without compromising style. 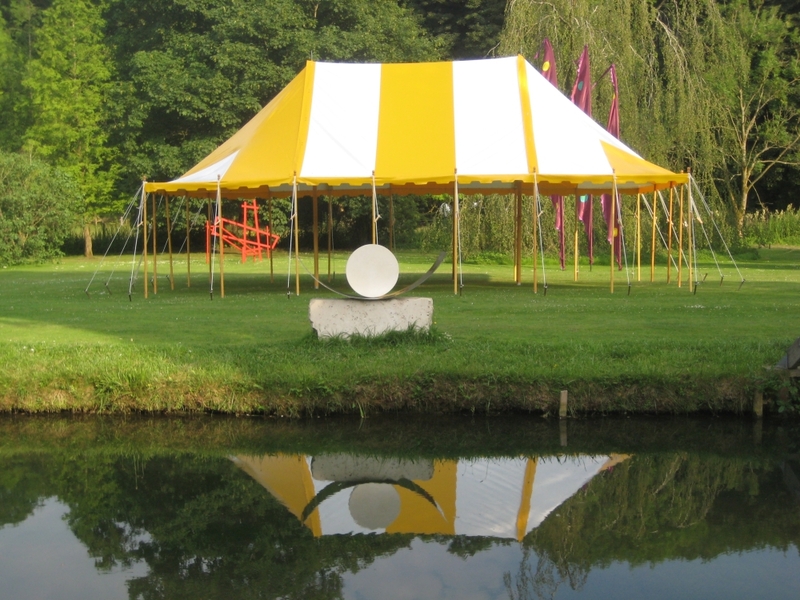 The Yellow & White 20 x 35ft marquee uses a premium flame resistant pvc coated canvas and is finished to the high Top Up Tent standards with hand-carved wooden dollies atop all poles! 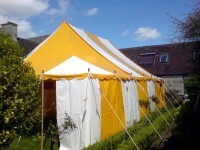 Can also be used in Combination with 20 x 30ft Red & Yellow Marquee or as a smaller 20 x 20ft square marquee.